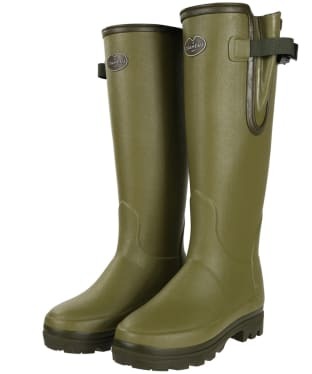 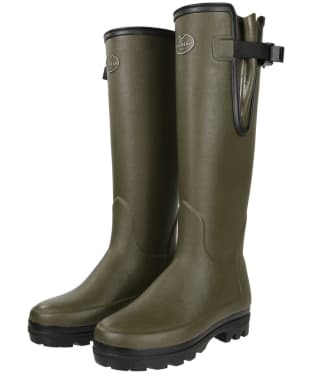 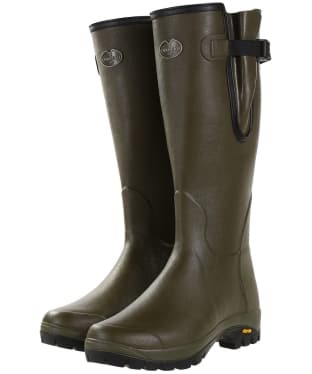 Le Chameau Vierzonord Wellies are a best seller amongst their fantastic range. 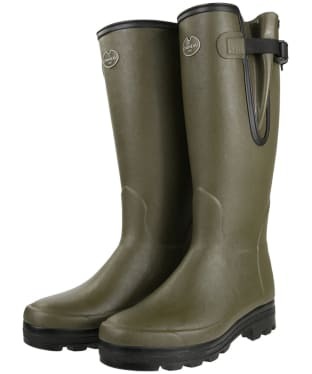 These hardy, classic country wellies are perfect for those who want a durable wellington boot for work or play! 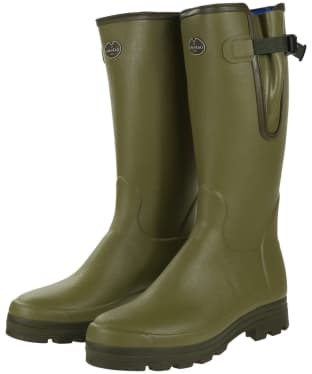 Constructed from the very best natural rubber, these hand crafted boots come complete with a variety of linings, including jersey for everyday use, and neoprene for adding that extra benefit of warmth when the weather dips! 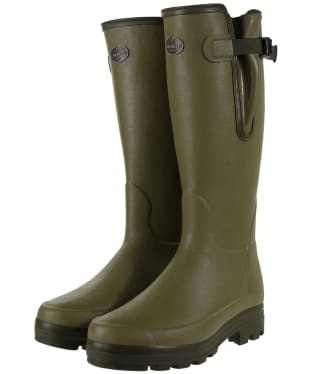 These expertly crafted boots feature 100% waterproof outers, with waterproof gussets to ensure you can alter the boots to suit your individual needs without compromising on practicality. 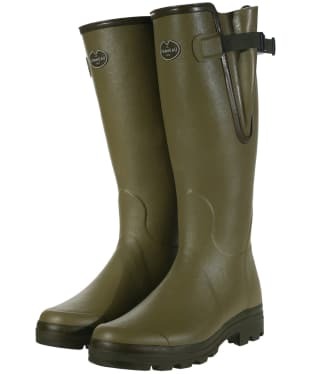 If you are looking for a pair of high quality, working wellington boots, then we can’t recommend the Le Chameau Vierzonord Boots highly enough – the moment you try them, you can feel excellence built into every inch, and we’re sure you’ll love them as much as we do!